1) (co. Derby. Visit. 1634). Ermines on a cross quarter pierced ar. four fers-de-moline sa. a fleur-de-lis for diff. Crest—A lion pass. guard. ar. holding in the dexter paw a fer-de-moline sa. 2) (Swanwick, co. Derby). Vairé ar.and gu. on a pale or, three trefoils slipped vert. Crest—Two wings conjoined saltireways ar. charged in the middle with a trefoil slipped vert. 3) (Thorverton, co. Devon; Humphry Turner, Esq., of Thorverton, aged 46 at Visit. 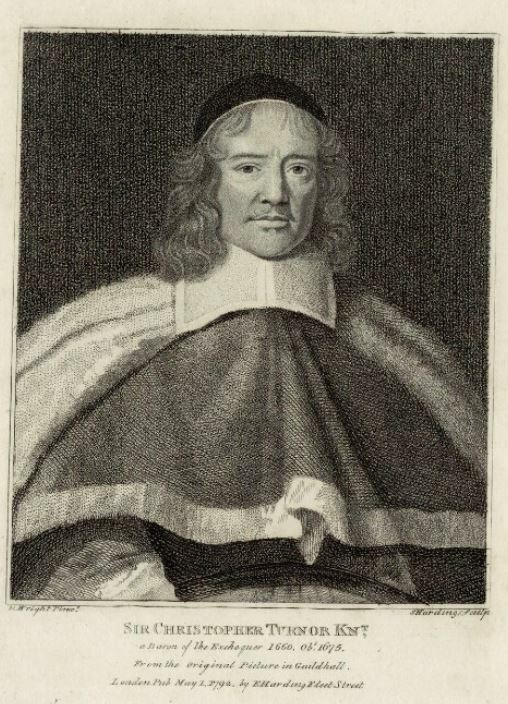 Devon, 1620, son of Anthony Turner, and grandson of Anthony Turner, both of same place). Sa. a chev. erm. betw. three fers- de-moline or, on a chief ar. a lion pass. gu. Crest—A lion pass. gu. holding in the dexter paw a laurel branch vert. 4) or Turnor (Halberton, co. Devon.) Same Arms. Crest—A lion pass. gu. holding in the dexter paw a laurel branch vert. 5) (Walden, co. Essex). Az. on a fess engr. betw. two fers-de-moline or, a lion pass. sa. Crest—A demi wolf gu. collared or, holding betw. the feet a fer-de-moline gold. 6) (Bluntshall, co. Essex). Ermines on a cross quarter voided ar. four fers-de-moline sa. 7) (Parenden, co Essex). Erm. a cross quarter pierced betw. four fers-de-moline sa. Crest—A lion pass. guard. ar. holding in the dexter paw millrind sa. 8) (Wakestown, co. Essex). Ar. a chev. az. betw. three lions ramp. guard. sa. Crest—A demi tiger salient or, tufted and maned sa. armed or. 9) (co. Essex). Az. a fess betw. two fers-de-moline or. 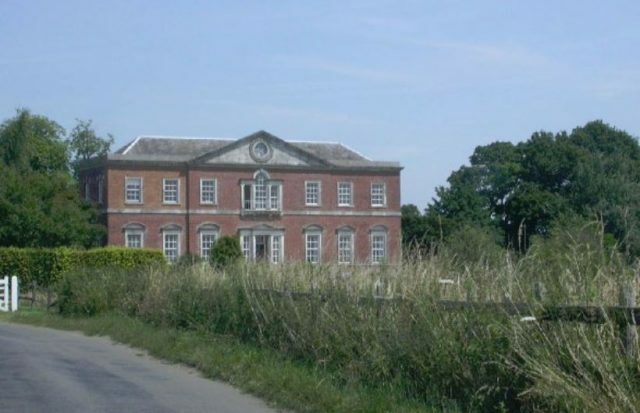 10) (Downhathley House, co. Gloucester). Ermines on a cross quarter pierced ar. four fers-de-moline sa. Crest—A lion pass. guard. ar. holding in the dexter paw a fer-de-moline sa. Sir William Turner (1615-1693) was an English Sheriff, Lord Mayor of London, & MP. 11) (cos. Huntingdon and Suffolk). (Saultry, co. Huntingdon). Erm. on a cross sa. quarter pierced of the field four fers-de-moline ar. Crest—A lion pass. ar. holding in the dexter foot a fer-de-moline sa. (another bears the lion sa. and fer-de-moline ar.). 12) (Stanley, Warrington, co. Lancaster). Sa. on a cross ar. five fers-de-moline pierced of the field, in the dexter chief a martlet for diff. Crest—A lion pass. guard. ar. holding in the dexter paw a fer-de-moline sa. Motto—Pro patria. 13) (co. Leicester; descended from Sutton Coldfield, co. Warwick). Ar. a fer-de-moline sa. 14) (co. Lincoln). Ermines on a cross quarterly pierced ar. four fers-de-moline sa. on the centre of the cross an annulet of the second. Crest—A lion pass. ar. gorged with a plain collar or, holding in the dexter paw a fer-de-moline sa. 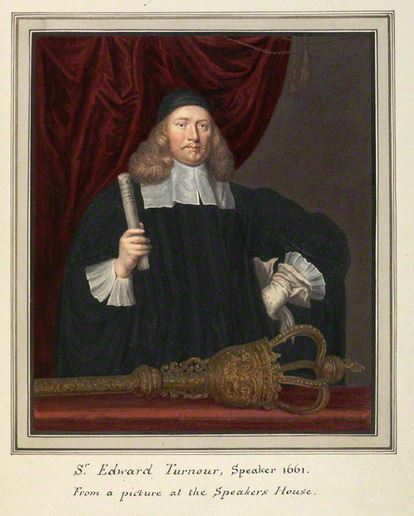 15) (Lord Mayor of London, 1669; descended from co. York). Sa. on a cross ar. five fers-de-moline pierced of the field. 16) (Lord Mayor of London, 1769; descended from Tablehurst, co. Surrey). Per pale gu. and az. three hounds in full course ppr. Crest—An antelope sejant erm. attired or. resting the dexter forepaw on an escutcheon gold. 17) (London; descended from Halberton, co. Devon). Sa. a chev. erm. betw. three millrinds or, on a chief ar. a lion pass. gu. Crest—A lion pass. gu. holding in the dexter paw a laurel branch vert. 18) (Warham, co. Norfolk, bart., extinct 1780; descended from William Turner, Esq., of Wessenham, temp. 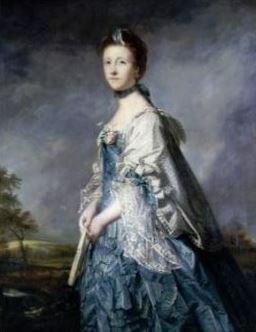 Qeeen Anne, who had three sons: 1) Charles Turner; 2) William Turner, d. s. p.; 3) John Turner, second bart. 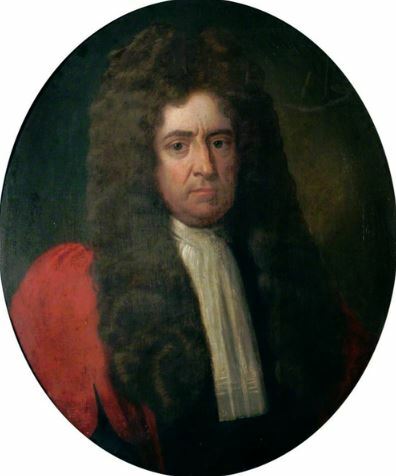 ; the eldest son, Sir Charles Turner, was created a bart., 1727, with special remainder in default of male issue, to his brothers, lied without surviving male issue, 1738, when he was s. by his only surviving brother, Sir John Turner, second bart. ; the third bart. d. s. p. m.). Sa. a chev. erm. betw. three fers-de-moline or, on a chief ar. a lion pass. gu. Crest—A lion pass. gu. 19) (Yarmouth, co. Norfolk). Same Arms. Crest—A lion pass. gu. holding in the dexter paw à fer-de-moline or. Motto—Utile quod tacias. 20) (Hall Place, in parish of Bradwell, co. Oxford, and Cursitors Court, near Cursitors Alley, co. Middlesex; allowed at Visit. Middlesex, 1663, to Thomas Turner, soil of Thomas Turner, grandson of Richard Turner, and great-grandson of Thomas Turner, all of Hall Place). Ermines on a cross ar. pierced of the field four crosses moline sa. Crest—A lion pass guard. ar. in the dexter paw a fer-de-moline ppr. 21) (Page-Turner, Ambrosden, co. Oxford, bart.). Quarterly, 1st and 4th, ar. a fer-de-moline pierced sa., for Turner; 2nd and 3rd, az. a fess indented betw. three martlets or, for Page. Crests— 1st,urner: A lion pass. guard. ar. ducally crowned or, holding in the dexter paw a fer-de-moline, as in the arms; 2nd. Page: A demi horse per pale dancettée or and az. Motto—Vineit qui patitur. 22) (Caughley Place, co. Salop; granted, 1785, to Rev. Richard Turner A.M., Rector of Cumberton and Vicar of Elmley, co. Worcester. He had three sons and two daus: Thomas Turner, of Caughley Place, co. Salop; Richard, L.L.D., Mac:. Coll., Oxon; Edward, Brig.-Gen. Indian Army: Elizabrth, wife of Abraham Wyke, Esq., of Broseley; and Sarah, wife of William Hancock Roberts, D.D.). Ar.a lion ramp gu. betw. three millrinds sa. on a border engr. az. eiglit annulets or. Crest—A Cornish chough ppr. perched on a millrind or. 23) (Pues, co. Salop: descended from Sutton Coldfield, co. Warwick). Ar. a fer-de-moline sa. 24) (co. Salop). Sa. a chev. erm. betw. three fers-de moline or. Crest—A tower ar. broken in the battlements. 25) (co. Suffolk; descended from co. Huntingdon). Erm. on a cross sa. quarter pierced of the field four fers-de- moline ar. Crest—A lion pass. ar. holding in the dexter paw a fer-de-moline sa. 26) (Blechingley, co. Surrey). Vair on a pale gu. three trefoils or. 27) (Camberwell, co. Surrey). Sa. a chev. erm. betw. three fers-de-moline or. Crest—A tower ar. broken in the battlements. 28) (co. Surrey, 1604). Vairé ar. and gu. on a pale or, three trefoils slipped vert. Crest—Two wings conjoined saltireways ar. charged in the middle with a trefoil slipped vert. 29) (Eastbourne, co. Sussex). Per fess sa. and erm. a pale counterchanged and three fers-de-moline or. Crest—A lion sejant ar. holding in the dexter foot a fer-de-moline or. 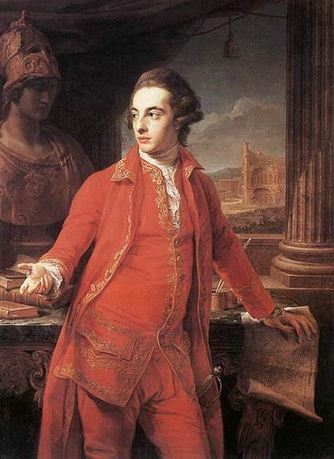 30) (Tablehurst, co. Sussex, Lord Mayor of London, 1769). Per pale gu. and az. three hounds in full cry ar. Crest—An antelope sejant erm. attired or, reposing the dexter foot on an escutcheon gold. 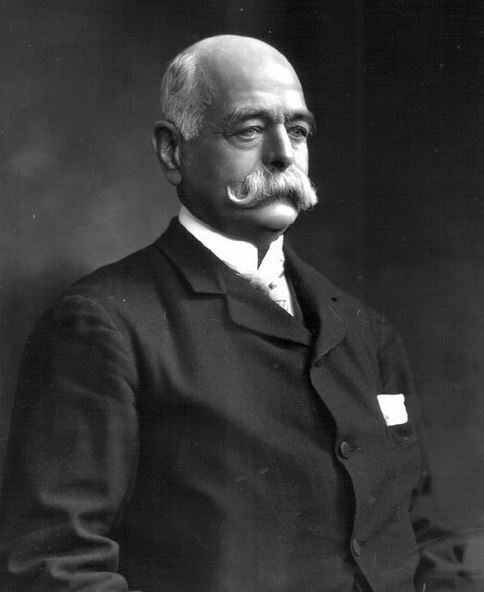 31) (Sutton Coldfield, co. Warwick, and co. Leicester; Edward Turner, of co. Leicester, Visit. Leicester, 1619, son and heir of William Turner, Esq., of Sutton Coldfield, and grandson of Richard Turner, of same place. Barrister-at-law). Ar. a fer-de-moline sa., quartering, Erm. a chev. az. betw. three garbs ppr. 32) (Atherstone, co. Warwick; confirmed by Camden’s Deputies to Thomas Turner, of Atherstone). Erm. on a cross sa. five fers-de-moline ar. 33) (Kirkleatham, co. York, bart., extinct 1810; Sir Charles Turner, M.P. city of York, 1768-83, was created a hart. 1782; his son, the second bart., d. s. p.). Ar. on a cross sa. five fers-de-moline of the field. 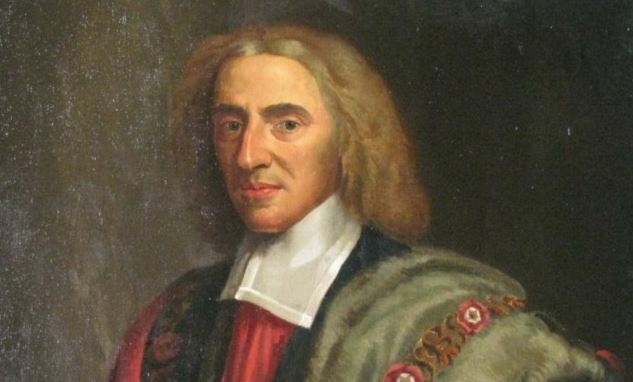 34) (co. York; Lord Mayor of London, 1669). Sa. on a cross ar. five fers-de-moline pierced of the field. 35) Sa. a chev. erm. betw. three fers-de moline or, on a chief of the last a lion pass. gu. Crest—A wolf’s head erased sa. guttée d’eau, in the mouth a tulip branch vert. 36) Sa. three fers-de-moline betw. two bendlets ar. Crest—A demi lion ramp. gu. holding in the claws a fer-de-moline ar. 37) Ar. a cross az. pierced of the field betw. four quatrefoils gu. in the centre a fer-de-moline sa. Crest—On a tower ar. broken in the battlement an eagle reguard. sa. grasping in the claw a millrind of the last. 38) Erm. on a cross voided in the fess point four fers-de-moline sa. Crest—A lion pass. ar. holding one of the same in the dexter paw. 39) Ar. a chev. betw. three boars’ heads couped sa. Crest—On a chapeau gu. turned up erm. a greyhound statant sa. collared ar. 40) Erm. three fers-de-moline sa. 41) Vairé ar. and gu. on a pale or, three trefoils slipped vert. 42) Ar. a lion ramp. gu. betw. three fers-de-moline sa. a border az. charged with an annulet or. Crest—A fer-de-moline lying fessways or, thereon a Cornish chough sa. 43) (Dublin; confirmed by Molyneux, Ulster, 1618, to James Тurner, Esq., Second Remembrancer of tho Court of Exchequer In Ireland, and formerly High Sheriff co. Dublin). Or, on a cross quarter-pierced az. a leopard’s face gu. betw. four fers-de-moline of the first. Crest—An arm erect vested gu. cuffed ar. holding in the hand ppr. a fer-de-moline or. 44) (Dublin; Fun. Ent. Ulster’s Оffice, 1636, Margaret, wife of Paul Turner, who was son and heir of Alderman William Turner, of Dublin). Ar. three pikes naiant in pale gu. platee, a mullet for diff. 45) (James Turner, Remembrancer in the Court of Exchequer, Ireland, temp. Charles I.; Fun. Ent. Ulster’s Office, 1460, of his wife, Eleanor, dau. of Richard Long, one of the six clerks in Chancery). Or, on a cross quarterpierced az. a leopard’s face gu. betw. four fers-de-moline of the first. 46) (Bandonbridge, co. Cork, and Limerick; arms allowed and pedigree registered by Carney, Ulster, 1687, to Henry Torner, Esq., Counsellor-at-law, Recorder of Limerick, son of Sergeant-Major Henry Torner, of Bandonbridge, and grandson of Henry Torner, Esq., of same place, who was sixth son of Henry Turner, Esq., of Heathfield, co. Kent). Erm. on a cross quarter pierced sa. four fers-de-moline or. Crest—A demi lion ramp. gu. supporting a column sa. (N.B.—The next year, 1688, Carney, Ulster, assigned the following arms to the above Henry Turner, Recorder of Limerick, and then Attorney-General to the Duke of Ormonde for the co. palatine of Tipperary). Per fess sa. and erm. a pale counterchanged, and three fers-de-moline or, a crescent for diff. Crest—A lion sejant erm. holding in the dexter paw a fer-de-moline or, and charged on the shoulder with a crescent sa. 47) (Sir James Turner, Scotland, 1672). Quarterly, 1st and 4th, sa. a catharine wheel ar. ; 2nd and 3rd, ar. three guttees de sang. Crest—A flaming heart ppr. Motlo—Tu ne cede malis. 48) (Edinburgh, 1673). Same Arms, with a crescent for diff. Same Crest and Motto. 49) (Stoke Rochford, co. Lincoln; descended from Christopher Turnor, temp. Henry VIII., a member of the family of Turnor, of Haverhill; his grandson, Christopher Turnor, Esq., of Milton Erneys, had two sons: 1) Sir Christopher Turnor, Knt., Baron of the Exchequer 1660, whose great-granddau. and heiress, Joyce Turnor, m. James Masler, Esq. 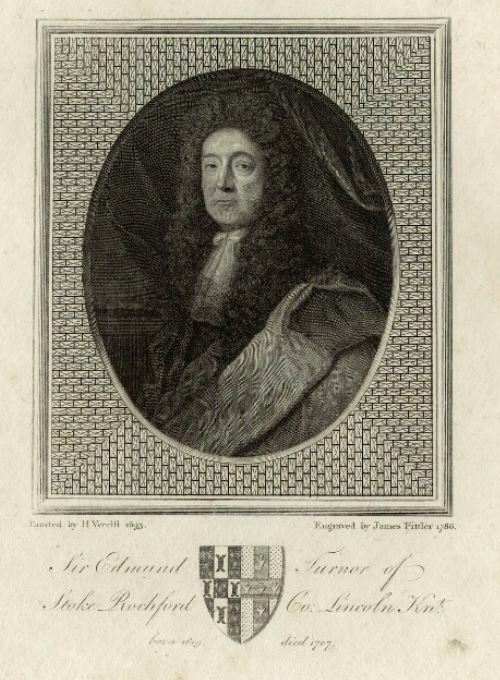 ; 2)Sir Edmund Turnor, an eminent royalist, and a person of great eminence during the civil wars, who m. Margaret, dau. of Sir John Harrison, and obtained with his wife, as a marriage portion, the whole of the manor of Stoke Rochford). Ermines on a cross quarterpierced ar. four fers-de-moline sa. Crest—A lion pass. ar. crowned or, holding in the dexter paw a fer-de-moline sa. 50) (quartered by the Rev. Henry Turnor-Barnwell, who, in 1827, assumed the surname of Turnor before Barnwell). Erm. on a cross sa. betw. two fleurs-de-lis in pale or, and as many fers-de-moline in fess ar. a fret of the second. 51) (Ballysheen, co. Wexford; a family long settled there, who were dispossessed by Oliver Cromwell; Nicholas Turnor, Esq., of Ballysheen, was the proprietor temp. Henry VII. ; his dau., Eleanor, m. Edmond Hore Esq., of Harperstown, in same co. Visit. Wexford, 1618). Ar. three fishes naiant in pale gu. bezantee. 52) (the town of Wexford; descended from Thomas Turnor, Sovereign of the town, third son of Patrick Turnor, of Ballysheen; he had three sons: 1) Walter, Sovereign of the town, whose great-grandson, Christopher, was also Sovereign of the town, and left a son, Patrick, of Wexford at Visit. 1618; 2) Nicholas; 3) Luke, or John, ancestor of Turnor, of Ballyknockane). Same Arms, a crescent for diff. 53) (city of Dublin; William Turnor, Sheriff of the city 1601, grandson of Paul Turnor Sovereign of the town of Wexford. Visit. Dublin, 1607). Same Arms, a mullet on a mullet for diff. 54) (Earl Winterton). Ermines on a cross quarter-pierced ar. four fers-de-moline sa., quartering, Ar. on a chief gu. three palets or, for Keith, Earl Marischal. Crest—A lion pass. guard. ar. holding in the dexter paw a fer-de-moline sa. Supporters—Two lions ar. semée of fers-de-moline sa. Motto—Esse quam videri. 55) Erm. on a pale vert three trefoils or. Crest—A shield gu. betw. two laurel branches ppr. This English/Scottish last name has six origin theories. First, it is an occupational one meaning “the turner”, referring to a work who worked with a lathe (a rotating tool used for cutting, drilling, and other functions), usually making small objects from wood, bone, or metal, having derived from the Anglo-French-Norman word torner (originally Latin tornarius). Second, it was a baptismal surname introduced into Britain from Normandy, France during the Norman Invasion of 1066 AD. It derives from the Old French words le (the) and etourneau (starling), giving us LeTourneau, and later the L was dropped and the name Anglicized. In his book, A Dictionary of English and Welsh Surnames, by X, states “To assert that Turnour is local from de Tour Noire, the Black Castle (in Normandy, of course), is childish; and little better is Tourneour, a tilter. There is no evidence”. The lords of the supposed castle were called Les Sires de Tournoir. It is said a member of the family went into England with William the Conqueror. Wikipedia, however, claims the occupational origin from a lathe worker is not well established. Third, it may have derived from a nickname for a person who ran fast, deriving from the Middle English words turnen (turn) and hare (hare/rabbit). Fourth, this name could be an occupational surname for a person that officiated tournaments during medieval times, deriving from the Old French word tornei. Fifth, it may derive from other uses of the Middle English word turn, such as a turnspit: a translator or interpreter. Sixth, it may be an Anglicized spelling of a southern German occupational name: Thurner, a name for a guard in a tower or a person who lived near a tower (Middle High German turn). There is a place in Austria name Thurn. One source asserts the name was first established in Oxfordshire England. An author with the last name Ferguson alleges the following in regard to this last name: “as a name before the Conquest, a grant to the monastery of Croyland, in 1051, being signed, among others, by a Turnerus Capellanus. The Icelandic has turnera, turnamentum agree; turnari, a tilter, which may probably shew the origin of the name. As, however, the Turner in question was a bishop’s chaplain, his “tilting” must have been only theological. But the name may probably have been baptismal, and perhaps of Norman introduction”. 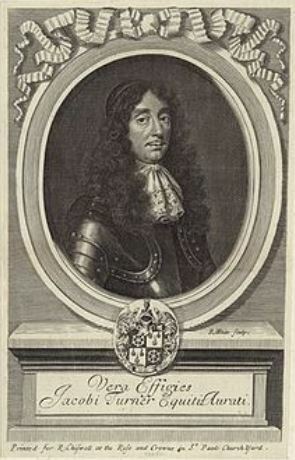 In his book, The Surnames of Scotland and Their Origin, Meaning, and History, author George Fraser Black writes “a family of this name had possession of the estate of Ardwall in the parish of New Abbey for many generations”. Common spelling variants or names with similar etymologies include Turnour, Torner, Turnor, Turnour, Turnur, and Turnehare. For some people of Jewish (eastern Ashkenazic), it could be a habitational name for a person who lived in Turna/Turno, in Poland and Belarus, or from Tarnow (Turne in Yiddish) in Poland. The French versions are Tournaire, Tourneur, and Turnier. The last name ranks Turner ranks 49th in popularity in terms in the United Status as of the 2000 Census. The name ranks particularly high in the following nine states: Virginia, Alabama, South Carolina, and Kentucky. The surname is also common in England, where it ranks 31st. It ranks highest in the following counties: Staffordshire, Essex, Derbyshire, and Suffolk. The name is common throughout the English speaking world: Scotland (109th), Wales (46th), Ireland (634th), Canada (110th), New Zealand (30th), Australia (34th), and South Africa (432nd). The 1890 book “Homes of Family Names” by H.B. Guppy, states the following in regard to this surname: “This name is distributed over the greater part of England, but is infrequent or absent in the north beyond Lancashire and Yorkshire. It is well represented in the midlands, especially in Derbyshire, Notts, and Staffordshire, and is also numerous in Lancashire. In the eastern counties it has its great centre in Suffolk and afterwards in Norfolk. In the south of England it is less frequent, but has two independent homes in Sussex and Devonshire. The prevalence of this name may probably be explained, as Bardsley suggests, by the circumstance that until the close of the 16th century, the “turner” made most of the best household vessels, such as mugs, jogs, etc., only those in rough and common use being made of clay. Since this name often prefers to gather in industrial counties, we are not surprised to find that it has its Scottish home in the Greenock and Glasgow districts, though it is not numerous”. The earliest known bearer of this surname was Warner le Turnur in the Pipe Rolls of London in 1180 AD. Ralph de Turner was listed in the Pipe Rolls of Leicestershire in 1191 AD and Bernard Turnehare was listed in the Curis Regis Rolls of Staffordshire in 1224 AD. The Hundred Rolls of 1273 AD, a census of Wales and England, known in Latin as Rotuli Hundredorum lists three bearers of this surname: Aylbricht le Turnur in London, Geoffrey le Turner in Cambridgeshire, and William le Turnour in county Oxfordshire. The Poll Tax of Yorkshire in 1379 AD lists one bearers of this last name: Johannes Turnour. Henry le Tornour…county Somerset during the reign of King Edward III of England (1327-1377 AD) in Kirby’s Quest. William le Tournour was recorded in the Calendarium Rotulorum Originalium. An early marriage involving this surname was George Turnor to Ann Eleanor Hanmner at St. George’s Hanover Square in London in 1791. A one Roger Turner or Turnour was born in 1344 AD. He married Christina de Chalfhunte and they had a son together named Sir Edward Turnour. Sir Edward was born in 1370 and he married Margaret Peverell of Park Hamiltilly and they had a son named Sir Henry Turnor. Henry was born in 1401 and he had a son named John. John was born in 1433 and he married Joan Gifford. They had a son together named Sir John Turner II who was born in 1455 in Devon, England. John II married Agnes (last name unknown) and had a son with her named Anthonie Turner I born in 1512 in Devon. Anthonie I married had a son named Anthonie II who was born in 1543 in Throrverton. He had the following children: Sir Humphie, Humphrey, Anthony, and Mary. His son Sir Humphrey Turner was born in Cornwall in 1620. He had a son named Sir Thomas Anthony. Thomas in two issue: Claude Ericht and Richard Graham. Richard Graham Truner was born in 1648 in Cornwall in Land’s End. He married Elizabeth Abigail Hutton (or Haruey) and had the following children with her: Lewis, Margaret, Mary, James I, John III, and Richard. 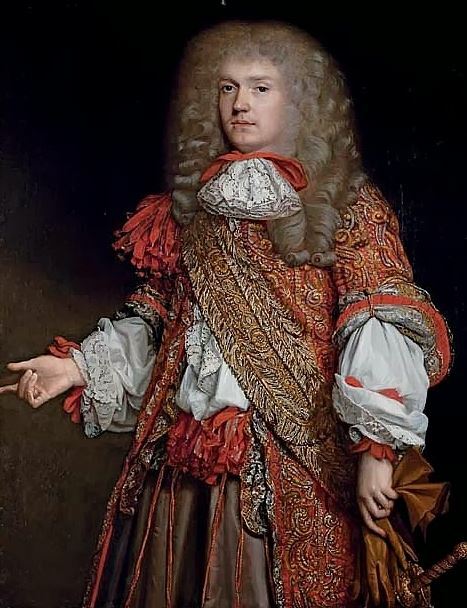 His son James I was born in 1685 and he went to Virginia in the United States. He married Sarah Bevans and had children with her named Richard, James Jr., Robert, John, Lewis, Thomas, and Frances. James Turner Jr was born in 1710 in Virginia. He married Mary Admire and had the following issue with her: Ruth Anne, Isaiah, Reverend Richard, Mary, Nathan, Admire, Captain Frances, Jemimah, James, Adam, Elijah, and Micajah. His son Elijah Admore Turner Sr. was born in 1747 in Virginia. He married Sarah Haynes and had issue with her: Tabitha Haynes, Sarah Holland, Elijah Jr., Richard, Wilson C., Jesse, Meador, Rebecca Ore, William, and Theodosha. His son Elijah Jr. was born in 1772 and he married Mary “Polly” Tolley and they had issue together: John H., William G., and Elijah. John H. was born in 1807 and he married Lucy Carter Jeter/ They had numerous children together: William H., Francis Jeter, Matilda Vaughan Metts, James Monroe, Milton Jeter, Milton John, Letitia Mary Fitzpatrick, and Achilles. His son James Monroe Turner was born in 1836 in Bedford County, Virginia. He married three times and left the following issue: Cornelia F., Ada, and Oliver. 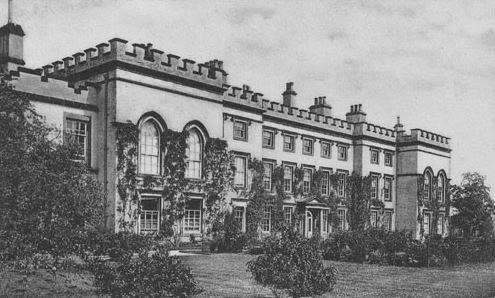 The famous genealogist Bernard Burke’s book “The Landed Gentry” discusses two branches of this family: 1) Turner of Kippen House and Turnor of Stoke-Rochford. 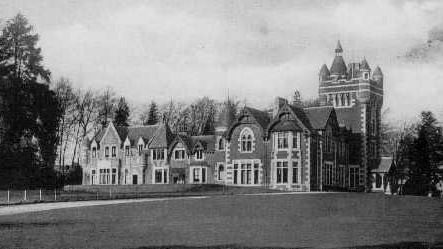 The first begins with a mention of Mary Turner of Kippen House, Dunning, county Perth, who was the eldest daughter of Robert Graeme, Esq. of Garvock. She married Angus Turner, Esquire of Glentyre and Kippen-Turner in 1830. He was a Magistrate for the counties of Perth and Lanark, and was appointed Legal Assessor and Town Clerk of Glasgow. 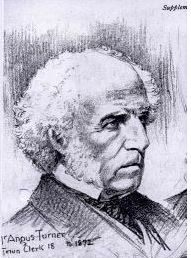 He had two daughters: Jane Anna Aytoun (married R.R. Bewley Caton and had a son with him named Redmond Bewley Caton) and Mary Helena de Jersey (married Captain L.E. O’Connor and later Samuel Spofforth). Burke states the Turner family possesses lands for many generations on the banks of Loch Lomond, at once owned the estate of Torr in the former county. Maternally, they descended from the ancient family of McFarlane of Arrochar. The Turner family crest in heraldry has the following blazon: Quarterly; 1st and 4th, sable, a Catherine wheel argent; 2nd and 3rd, argent three gouttes de sang. Crest: A flaming heart proper. The second begins with a mention of Christopher Turnor, Esq. of Sroke-Rochford in county Lincoln who was Justice of the Peace, Deputy Lietenant, and High Sheriff in 1833, as well as a member of Parliament for South Lincolnshire. He was born in April of 1809 and he married Lady Caroline Finch Hatton in 1837, daughter of George William, the 9th Earl of Wichilsea. They had ten children together: Edmund (1838 of Panton Hall), Christopher Hatton (1840, married Alice Killaly, went to Toronto, Canada), Cecil Montague (1842, became Commander in the Royal Navy), Algernon (1845), Herbert Broke (1848, 71st regiment), Charles Edward (1851), Graham Augustus (1853), Edith Georgiana (1868, Vmarried Viscount Emlyn), Constance Evelyn, Agnes Octavia, Betha Kathleen, and Dora Agnes Caroline. 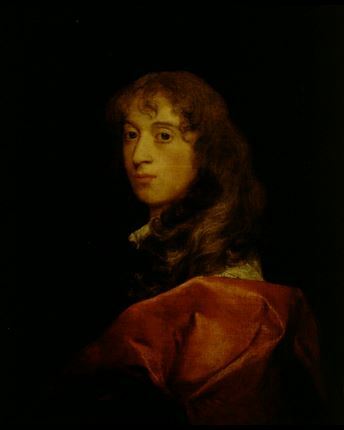 Burke traces the lineage back to Sir Edmund Turnor who was born in the seventeenth century and was so of Christopher Turnor of Milton Erney in county Bedford, a descendant of the family Turnour of Haverhill. A pedigree of the family genealogy is given. The Turnor coat of arms was: Ermine on a cross quarter-pierced argent four fer-de-oulin sable. Crest: A lion passant argent crowned or, in his paw fer-de-moulin of the arms. A one Humphrey Turner was born in 1593 in Kent, England. He married Lydia Gaymer and had the following issue with her: John Sr., James, John, William, Anne, Lydia (Doughty), Thomas Sr., Mary (Parker), Joseph, Nathaniel, and Daniel. His son was born in 1622 in Terling, Essex, England. John married Ann James in Plymouth, Massachsuetts in 1649 and they had children together: Japheth, Israel, Miriam (Pickels), Ann (Green), Sarah (Holbrook), David, Jacob, Philip, and Ichabod. His son Japhet was born in 1650 in Scituate, MA. He married Hannah Hudson and had four children with her: Ann (Bicknell), Joshua, Japheth, and Ruth (Clark). His son Japhet was born in 1682 in Duxbury and married Hannah Hatch in 1702. They had the following children together: Hannah, Japhet, Israel, and Elizabeth (Pratt). His son Japhet was born in 1704 and he later married Elizabeth Morse. They had children together: Betty Reynolds, Hannah (Shaw), Japhet, Joshua, Joseph, Joseph D., Samuel, and Mary. His son Japhet was born in 1733 in Middleborough, MA. He married twice: Elizabeth Hillman in 1763 and Thankful Bassett in 1774. He had the following children: Walter, Walter, Elizabeth (Jacobs), Joshua, Thankful (Fish), Margaret (Chadwick), Japhet, and Hannah (Nye). His second son Walter was born in 1775 in Falmouth. He married Lydia Swift and had issue with her: William, Hallet S., Thankful B. (Young), Walter, Lydia S., Nathaniel Wing, Mercy (Crowell), and Susan B. (Smith). He died in 1853. A one Humphrey Turner was born in 1609 in England. He married a woman named Margaret Parker and had a daughter with her named Hannah, who married Humphrey Marshall Jr. Hannah died in Pennsylvania in 1734. The famous ship the Mayflower, which sailed to Plymouth, Massachusetts in 1620, contained three bearers of this surname: John Turner and his two sons. He was born in 1590 and perished with his two sons during the first winter. Little is known of him, other than he may have come from Great Yarmouth in county Norfolk and was a merchant. Sarah Turner came to Virginia in 1634 aboard the Bonaventure. Elizabeth Turner, aged 20 years old, came to New England aboard the Hopewell in 1635. Mathew Turner came to St. Christopher’s aboard the Paul in 1635. Marmaduke Turner came to the Barbados in April 1635 aboard the Faulcon. Thomas Turner came to Virginia in 1635 aboard the Plaine Joan. Another Thomas Turner came to St. Christophers aboard the Mathew in 1635. Joseph Turner came to Virginia from the port of London aboard the Speedwell in May 1635. Robert Turner came to Virginia aboard the Thomas & John in June 1635. Robert Turner came to New England aboard the Blessing in the same year. Thomas Turner came to Virginia aboard the Assurance in July 1635. Elizabeth Turner, 44 years old, came to Virginia aboard the Safety in August 1635, as did Joan, age 21. A Robert Turner was recorded as living in Virginia in 1623, as was one Henry Turner (at Chaplains choise), and one Henry. Thomas Turner came to Virginia in 1616 aboard the Marygold. Robert Turner, a servant, came in 1619 aboard the Tryall. Henry Turner came to Virginia in the John & Francis in 1615. Henery Turner came in the London Marchaunt. A one Martin Turner came aboard the George in 1621. Jonathan Turner came to the Sommer Islands (Bermuda) in August of 1673. A one Mary, daughter of Martha Turner, was recorded as being baptized in the Parish of St. Michael’s in the Barbados in July of 1678. Other early settlers in Colonial American bearing the Turner last name include Andrew (Virginia 1701), Charles (Virginia 1705), James (Georgia 1733), Alexander (New England 1738), John and Elizabeth (Philadelphia 1742), and Barlett (New York 1811). Two of the earliest settlers in Canada were Francis Turner and Eleanora Turner, who came to Nova Scotia, in 1749 and 1757, respectively. 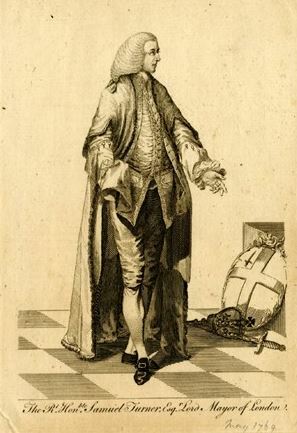 2) Nathaniel Turner of Fleet Street, London, Common Councillor, Governor of Christ’s Hospital, 3rd son of Francis of, of Woburn, county Bedford, alteration December 1710. 8) Turner, late Merryweather, infants, of county Surrey and Worcestershire, William Stephens Turner (Mellish) Merryweather-Turner, of Lincoln’s Inn, London, and Trinity College, Cambridgeshire . 12) Turner, after Polhill, Capt., of county Oxf. .
19) Turnor-Fetherstonhaugh, Hon. Keith s. of Lord (the 4th Earl?) Winterton, of co. Sussex, 1896. Famous people with this last name include: 1) Curtis Turner (1924-1970) who was an America stock car racer from Virginia, 2) Dawson Turner (1775-1858) who was an English banker and botanist, 3) Joseph Mallord William Turner (1775-1851) who was an English Romanticist landscape painter, 4) Richmond Kelly Turner (1885-1961) who was an Admiral in the United States Navy during World War II, 5) Stansfield Turner (1923) who was an admiral in the US Navy as well as Director of the Central Intelligence Agency (CIA), 6) Shirley Kersey Turner (1941) who was a member of the New Jersey Senate, and 7) Sylvester Turner (1954) who became the mayor of Houston, Texas in 2016. The most prominent and common heraldic symbol in the Turner family crest or Turner coat of arms is the fer-de-moline. The mill-rind, also known by a rather surprising number of names (fer-de-moline, inkmoline, mill-ink amongst others) is a distinctive symbol, but hard to place by modern viewers. It is a square or diamond shape with arms extending above and below and in fact represents the piece of iron that connects a circular timber axle to a mill-stone, used for grinding corn. These would obviously have been more familiar to those of the middle ages than they are today.